Force Majeure director Ruben Östlund returns with a knife-sharp satire on art, culture and communication in the digital age. Winner of the Palme d Or at the 2017 Cannes Film Festival, The Square stars Claes Bang (The Bridge), Elisabeth Moss (The Handmaid's Tale, Mad Men) and Dominic West (The Wire). Christian (Bang) is a divorced but devoted father of two, and the respected curator of a contemporary art museum in Stockholm. He's gearing up to launch their next show, The Square , a daring installation examining altruism and our duty to help others. However, Christian's own views on social responsibility are put to the test when he becomes the victim of a scam, forcing him to question the world around him and his place in it. Meanwhile, a shocking viral stunt cooked up by the museum's PR agency is met with public outcry, sending Christian and the museum into an existential crisis. 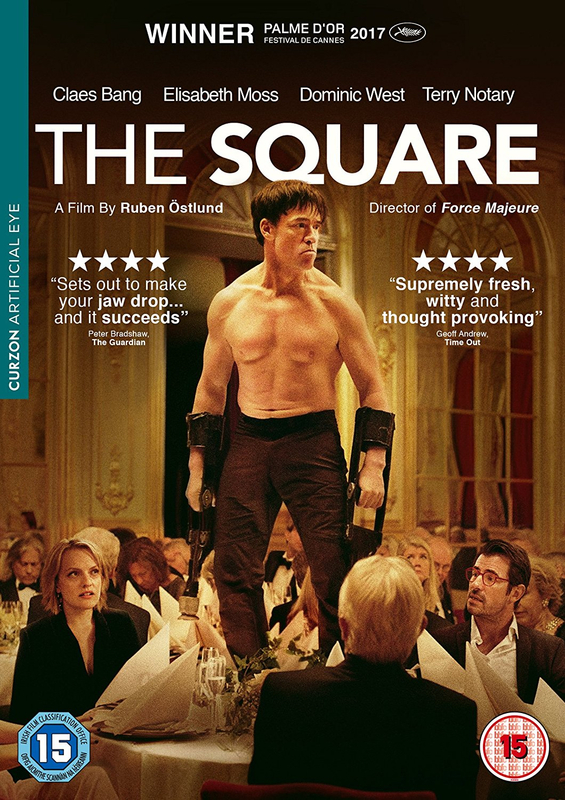 With pitch-perfect performances, inventive set pieces and a cutting deadpan wit, The Square is a hilarious, unique and often surreal look at idealism and cynicism in the modern world.